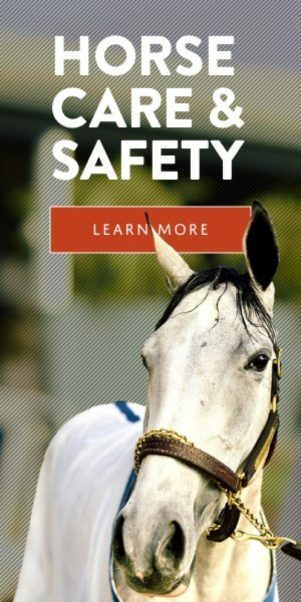 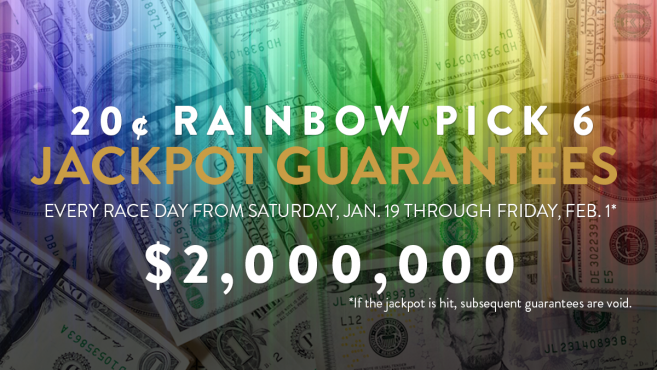 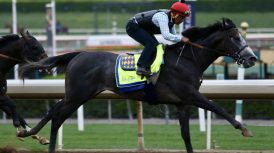 ARCADIA, Calif. (Jan. 20, 2019)–Along with one dollar beers and sodas, fans will be greeted by a guaranteed $2 million Single Ticket Rainbow Pick Six Jackpot on Monday, Martin Luther King, Jr. Day at Santa Anita. 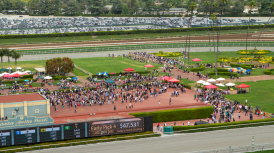 For the third consecutive day, there will be a 10-race card tomorrow, with special early first post time at 12 noon. 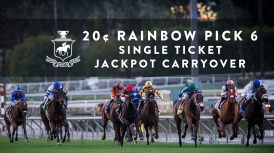 Accordingly, the 20 cent Single Ticket Rainbow Pick Six will begin with race five, which has an approximate post time of 2:03 p.m. PT. 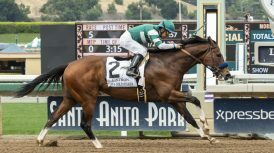 Monday’s main event is the Grade III, $100,000 Megahertz Stakes for older fillies and mares at one mile on turf. 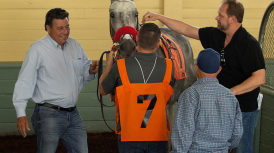 The Megahertz has been carded as race eight. 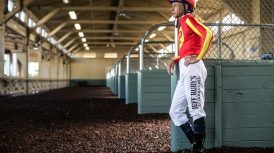 Admission gates will open tomorrow at 10 a.m. For additional information, please visit santaanita.com or call (626) 574-RACE.